There's always a beginning. This is the first blog post in the Presidential Records records group of the History Hub. It is our hope that this blog can be used to highlight presidential records not only in the National Archives and Records Administration but wherever they are found. 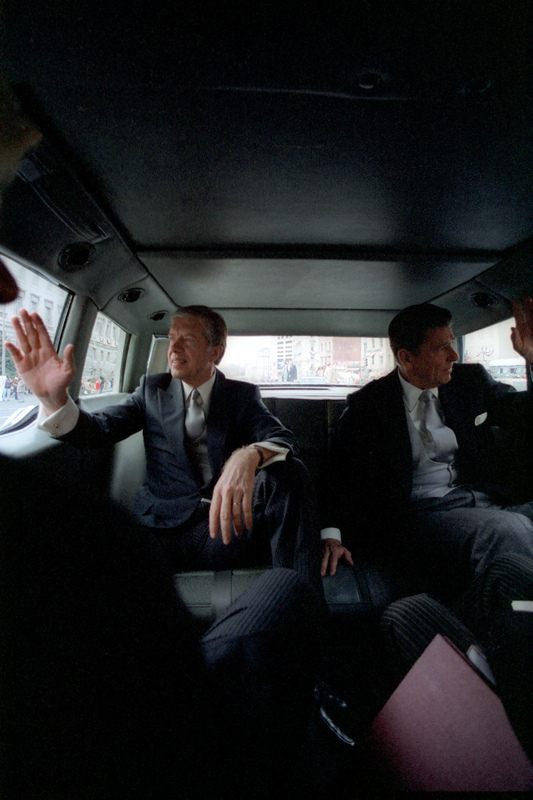 ride together on the way to Ronald Reagan's swearing-in ceremony, January 20, 1981. The intention in this space is to share information about presidential history. This may include blog posts on the National Archives Presidential Libraries system, interesting documents found in the libraries, or presidential artifacts housed in one of our facilities. 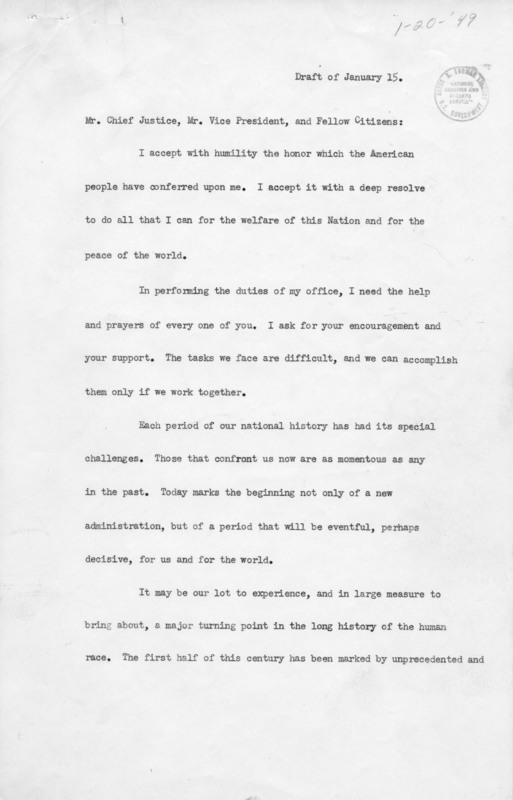 Draft of the Inaugural speech for President-elect Harry S. Truman, January 15, 1949. The History Hub is a pilot project; a place where all of us who love history and have an interest in the history of America can get together and share information. The hope is that this blog will enhance our understanding and foster greater sharing and discussion about our presidential records. So let's get started. President William J. Clinton holding a meeting via speakerphone, November 22, 1993.